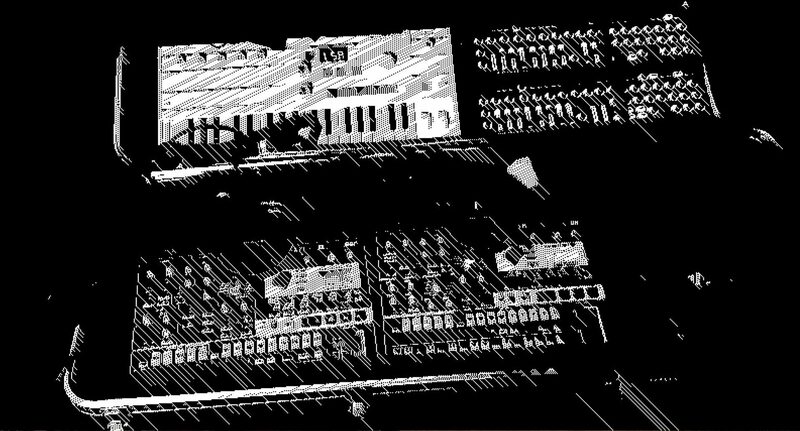 warning: this is NOT a gig of Moogulator, just appearance & improvisation in a small nice cosy place, no real concert. kein richtiges / offizielles Konzert, aber eine Improvisation. 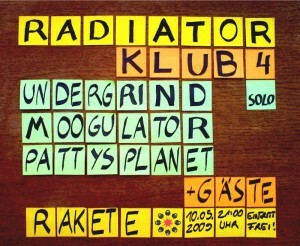 Es gibt also keine offiziellen Tracks von Moogulator oder Pattysplanet. Aber von Undergrind. 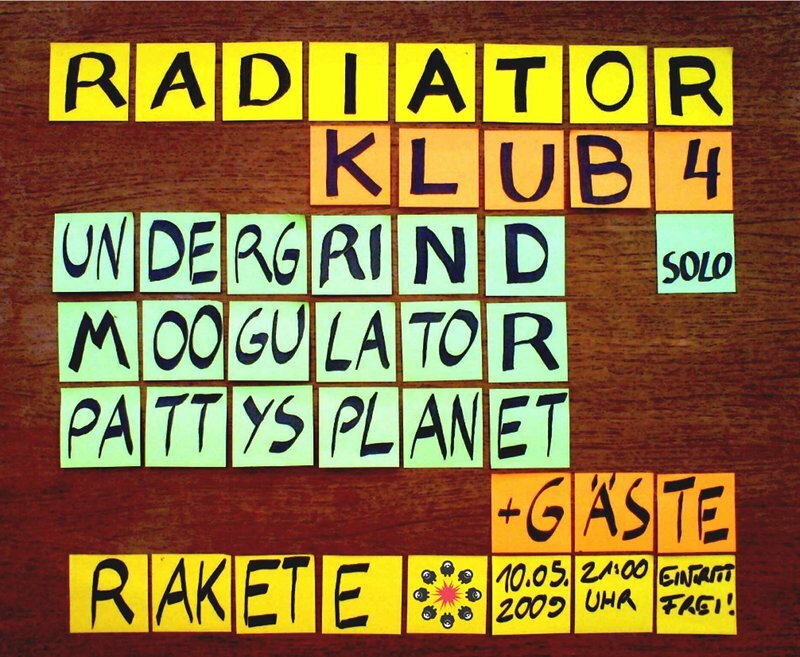 ⟵Berlin Berlin – Mini Tour – Moogulators Mini Summary II..